Annie-B Parson co-founded Big Dance Theater in 1991. She has choreographed and co-created over 20 works for the company, ranging from pure dance pieces, to adaptations of found text, plays, and literature, to original works combining wildly disparate materials. Her work with Big Dance has been commissioned by Les Subsistances in Lyon, the Brooklyn Academy of Music, The National Theater of Paris/Chaillot, The Japan Society, The Walker Art Center, and many others. Outside of Big Dance, Ms. Parson has created choreography for operas, pop stars, television, movies, theater, ballet and symphonies. Most recently, Parson choreographed one thousand singers for a work by David Lang at the Mostly Mozart Festival at Lincoln Center, and will conduct a choreographic workshop with Ballet Rambert in London later this fall. Other work includes David Byrne’s musical Here Lies Love at both the Public Theater and The National Theater in London; David Byrne’s 2012 world tour with St. Vincent and a marching band; and for Byrne’s 2008 Brian Eno world tour. She also created the choreography for St. Vincent’s 2014 world tour, as well as her performances with the Dallas Symphony Orchestra and on The Tonight Show with Jimmy Fallon. Parson currently has a work in repertory at The Martha Graham Dance Company, and has created a solo for Wendy Whelan commissioned by the Royal Ballet. Her dances are featured in the film Ride, Roar, Rise about David Byrne, among others. Her work for theater, opera and film includes the recent Meryl Streep/Jonathan Demme movie Ricki and the Flash, Nico Muhly’s opera Dark Sisters, and such plays as Lucas Hnath’s Walt Disney at Soho Rep, Sarah Ruhl’s Orlando, Futurity at ART, as well as a work for the string quartet ETHEL. She choreographed David Bowie/Ivo Van Hove’s new work Lazarus at New York Theatre Workshop, which will premiere in London this fall at the King’s Cross Theatre. Her awards include the Doris Duke Performing Artist Award (2014), an Olivier Award nomination in choreography (2015), Foundation for Contemporary Arts Grants to Artists Award (2014), USA Artists Grant in theater (2012), Guggenheim Fellowship in Choreography (2007), two BESSIE awards (2010, 2002), and three NYFA Choreography Fellowships (2013, 2006 and 2000). BDT received an OBIE (2000) and the first Jacob’s Pillow Dance Award (2007). Parson has been nominated for the CalArts/Alpert Award seven times and has received three Lucille Lortel nominations (2014, 2012, 2011). She was a YCC choreographer at The American Dance Festival. Since 1993 Parson has been an instructor of choreography at New York University’s Experimental Theater Wing. 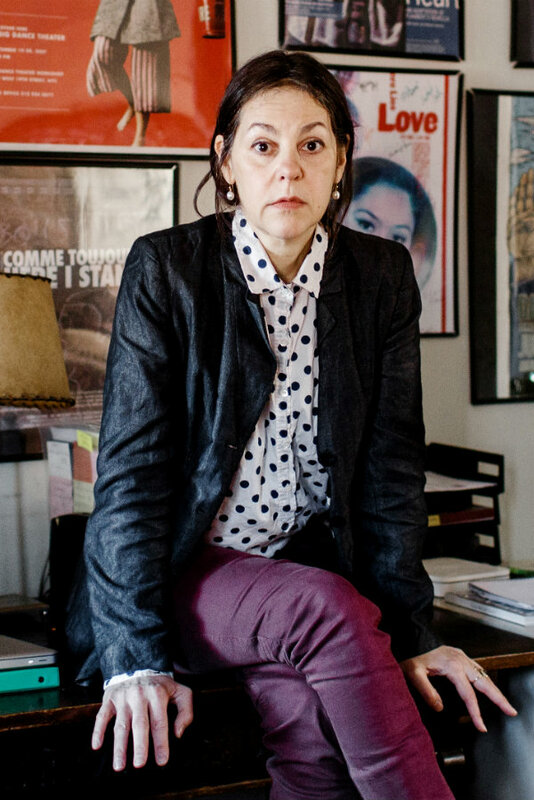 She was featured in BOMB magazine, and has written articles for Ballet Review, Movement Research Journal, and drawing for The Brooklyn Rail, as well as a piece for Dance USA on the state of dance/theater in the U.S. and given a talk on the use of Poetic Forms in adapting text at the Poetry Center. As an artist curator, she has curated shows including: Merce Cunningham’s memorial We Give Ourselves Away at Every Moment, Dancer Crush at NYLA and Sourcing Stravinsky at DTW. Parson tours a lecture on abstraction called The Virtuosity of Structure to universities and for audience development. Her recent book, Dance by Letter, is published by 53rd State Press.